Is your medicine chest family-friendly? If your family’s medicine cabinet is a disaster (and whose isn’t?! ), we’ve got the prescription to help. There’s no question, you should have aspirin on hand at all times. But when it comes to the other family-friendly products in your medicine cabinet, is your household ailing? We reached out to the experts and uncovered these medicine cabinet musts. How well are you stocked? You may already have bandages in your cabinet, but perhaps not one like this. 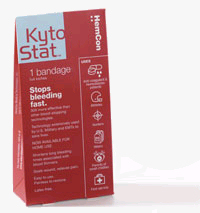 The KytoStat emergency bandage made by HemCon Medical Technologies Inc. is the superhero of boo-boo be gone’s as it uses natural antibacterial technology and works with the wearer’s body chemistry to stop the bleeding and seal wounds tight. Use for knife cuts, wounds during gardening and on your kids’ knees and elbows in play-related injuries. And FYI, America’s Armed Forces use these bandages in combat and they swear by them. Since heart disease, stroke and other cardiovascular diseases are the #1 killers of American women (according to the American Heart Association), you will want to keep Omega-3s on hand for prevention. Fish or fish oil supplements like OmegaBrite (a 100 percent natural Omega-3 supplement) lowers triglycerides and reduces the risk of death, heart attack, and other dangerous heart issues. Developed by Dr. Carol Locke of Harvard Medical School, OmegaBrite is 100 percent natural, pharmaceutical-quality, and more potent than common fish oil brands out there. 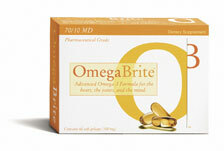 It’s a safe, natural way to supply your body with the essential Omega’3s to promote cardiac health. Now you won’t have to wait for the ambulance to arrive when moderate-to-severe bleeding results from your (gasp — but it’s bound to happen!) children’s play mishaps. 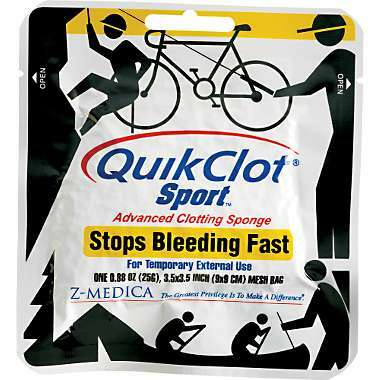 And when it comes to kitchen knife accidents and other household bleeding injuries, the QuikClot Sport and QuikClot Sport Silver (anti-microbrial) – the first consumer versions of its kind – can help. In fact, military personnel in Iraq and Afghanistan have used the product to save lives from traumatic bleeding. Just tear open the package, press the enclosed clotting sponge on the wound, apply pressure and watch the bleeding stop in an instant. According to Dr. Martha Cortes, a New York City dentist, “parents shouldn’t only instruct kids how to brush their teeth, but introduce them to the use of flossing as soon as their permanent teeth come in. 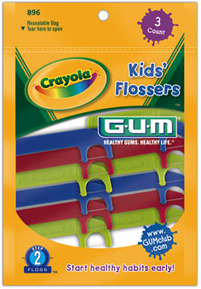 Most people don’t know that children – as young as 11 years old – develop gingivitis,” she points out, “and in some cases, gum disease.” Both diseases can be prevented by using kid-friendly adn fun dental floss like Butler GUM Crayola Kids’ Floss. Every pediatrician will tell you to keep these two on hand for baby wellness: Infant Pedialyte to prevent dehydration during those oh-so-fun bouts with diarrhea or vomiting, and Infant Tylenol when teething-induced (or other) temperatures strike. Approximately 11 percent of women report suffering from a urinary tract infection (UTI) annually. Prevent the advent of the dreadful UTI by drinking plenty of water and cranberry juice. In the event that you become ailed with the discomfort of the UTI, you can take Cystex, a unique urinary pain relief tablet. Not only does it claim to help dull the pain that comes along with a UTI, but it also boasts an antibacterial agent to help slow the progression of the infection until you have a chance to see your doctor. When it comes to stomach woes, Florastor says it’s just the thing to restore a good feeling in your system. The all-natural intestinal dietary supplement for those with sensitive digestive systems can help your stomach return to normal and prevent diarrhea. This probiotic’s active ingredients, which is a freeze-dried form of a beneficial yeast, prevents AAD by keeping the intestines colonized with protective flora, stopping harmful bacteria from taking over neutralizing toxins. Suzy Cohen, R. Ph, syndicated columnist and author of “The 24-Hour Pharmacist,” suggests to keep Cold-EEZE zinc lozenges especially since we’re in the peak cold season (winter). Not only are they clinically proven to reduce the duration and severity of the common cold by 42 percent or three to four days, they come in a variety of flavors so you won’t gag at first taste. Another natural remedy, Organix Organic Cough and Sore Throat Drops, can also do the trick. These drops are made of organic menthol and pectin, and suppress coughs, soothe sore throats, and cool nasal passages. 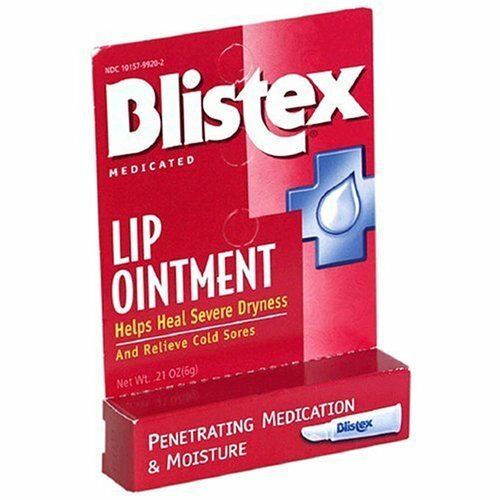 While some over-the-counter relief gels provide help for muscle aches and stiffness, the Boiron’s Arnicare Gel also relieves swelling and bruising. When your kids fall on the hardwood floor or you bang your elbow onto a counter top, fret no more. The Arnicare Gel will reduce discoloration with its active ingredient of homeopathic Arnica Montana. What is that? It’s also known as mountain daisy and works naturally to reduce pain and the unsightly marks of a mishap. Points and Prizes Keyword: BANDAGE worth 50 points good through 02/24/08.